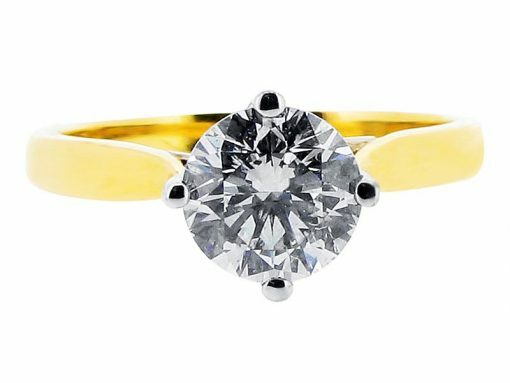 There are many ways that a round shaped diamond can be set. The four claw compass setting is a wonderful choice as it retains the roundness of shape while still maximising the view of the stone. This example is in two metal tones, white and yellow gold. 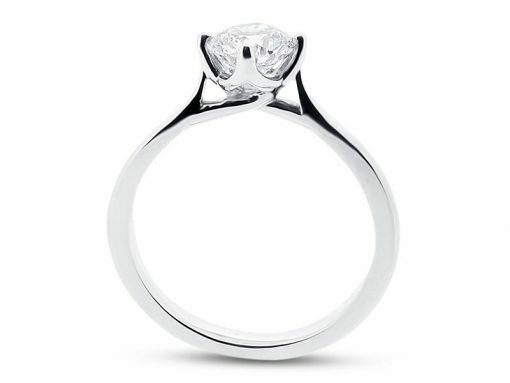 This ring can be set into 18k yellow, rose, and white gold, and platinum, and can be made for budgets starting from approximately 1,500 euro. We would be delighted to meet with you at our offices just off Grafton Street. Voltaire Diamonds aim to provide a comfortable and exciting atmosphere for one of the most special purchases in your lifetime.